That is until things changed a couple of years ago! 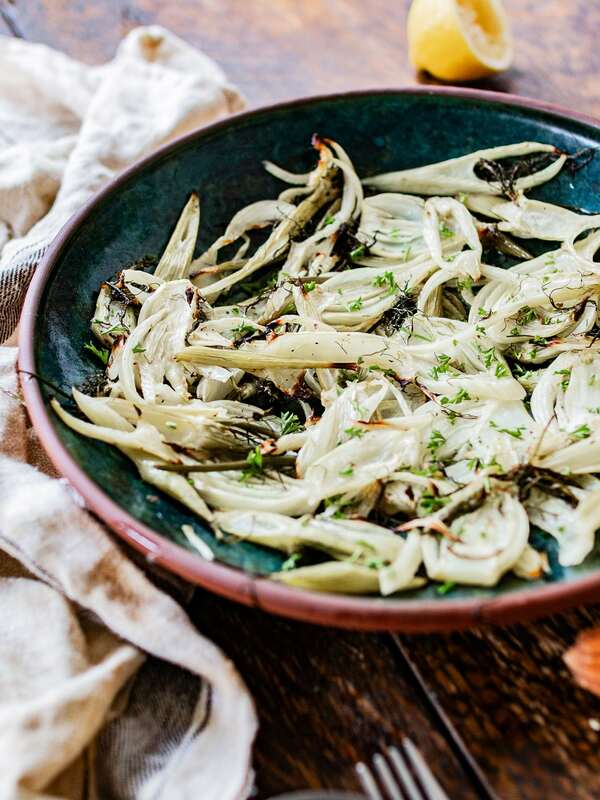 I travelled and stayed in Greece for almost 6 weeks and since fennel originated from the Mediterranean region, it is common in Greek dishes. So after staying in Athens for a while, my curiosity on this strange bulb had grown. 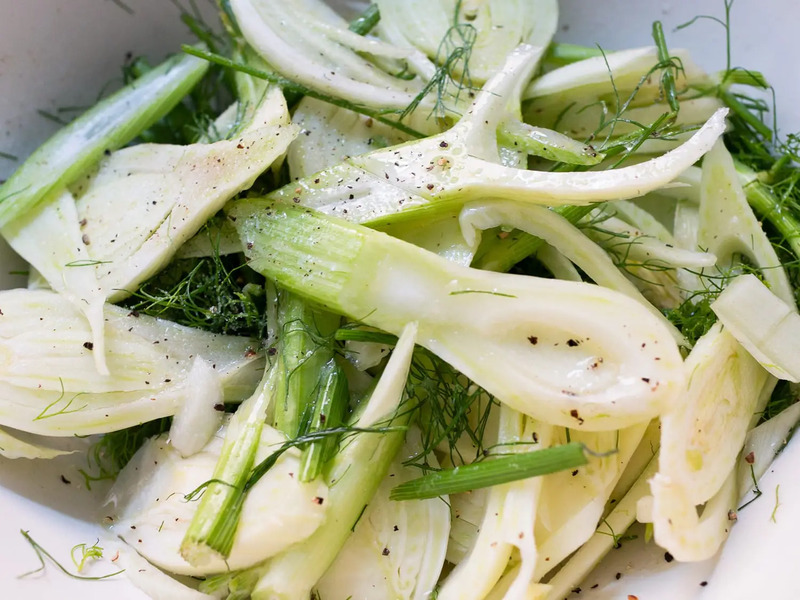 In the second week of my trip, I decided to give it a go and explored different ways to cook and taste fennel. 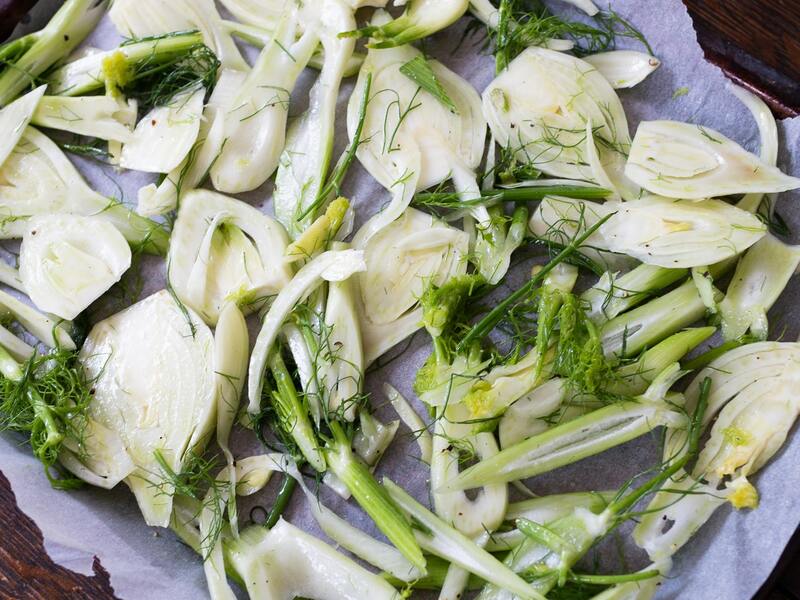 One of the my favourite ways to cook fennel is to just grill it with garlic lemon zest and juice. First slice the fennel bulbs into 5mm slices. Then mix it with all the rest of the ingredients in a mixing bowl. Place them evenly (avoid overlapping) onto a baking tray lined with parchment paper. Bake for 10 minutes, then flip and bake for other 7-8 minutes. Finally garnish with parsley and that’s it! 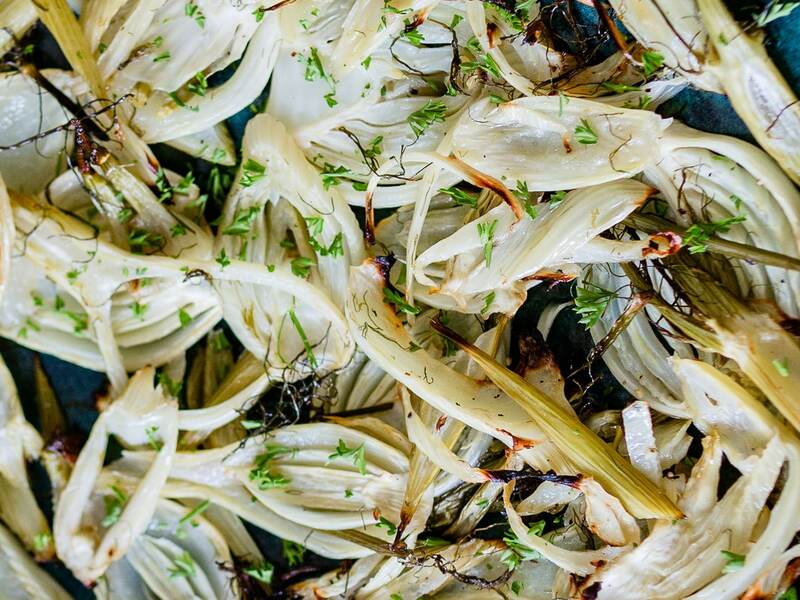 Fennel’s flavour changes utterly when it’s grilled. The liquorice-like taste is gone and replaced with a mild, sweet, subtle flavour…. somewhere in between onion and artichoke. For me, this was like a miracle. With just a few simple ingredient and a different cooking method, this strange little bulb that I rarely ate became one of my favourite grilled vegetables. If you are looking for an unusual grilled vegetable side dish idea. 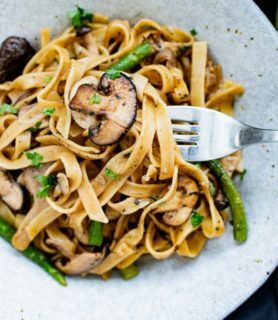 Why not give this recipe a try? It is super easy and comes with a unique subtle flavour. A fantastic side dish that goes well any main or as a light lunch on its own. 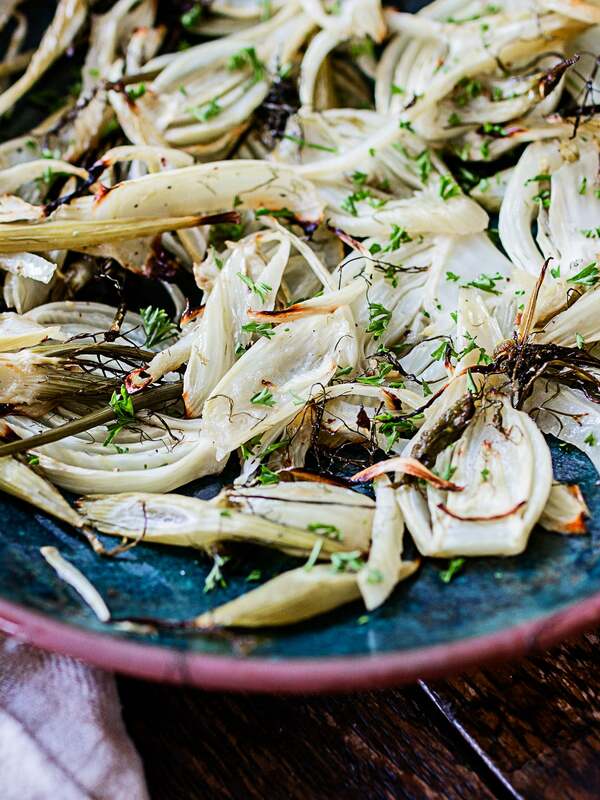 If you are not a fan of fennel like me, this recipe may just change your mind! 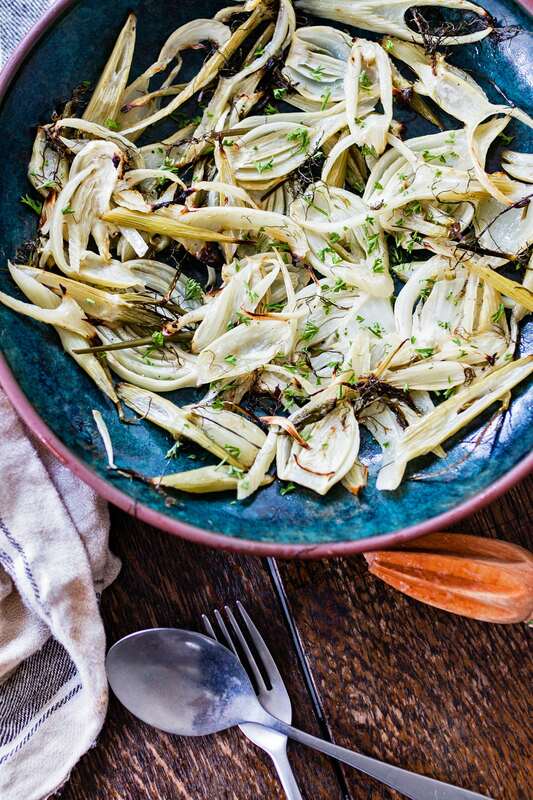 P. S. While I was writing this recipe, I discovered that fennel is a bulbous vegetable that belongs to the carrot family :O. I had always assumed it similar to onion…what a shock! 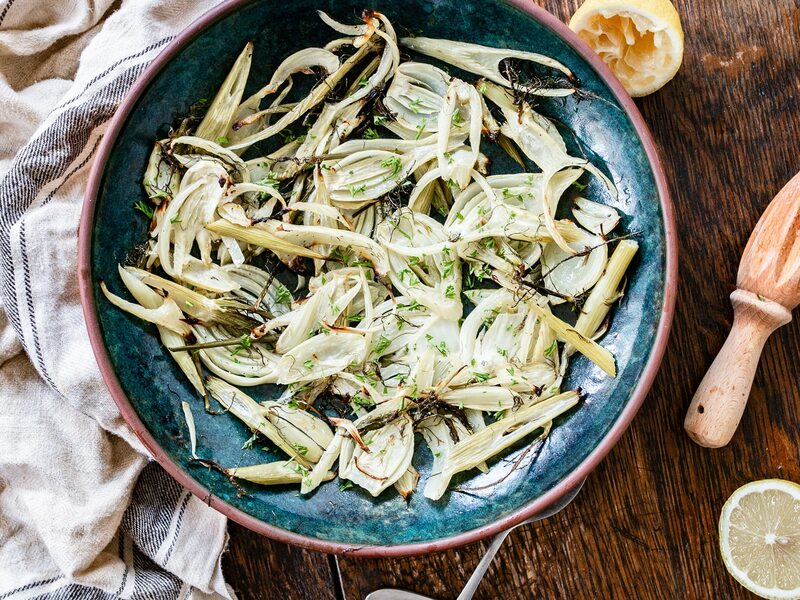 In a large bowl mix the sliced fennel with the olive oil, salt, lemon juice, 3/4 of the parsley, lemon zest and black pepper. Place the slices onto a baking tray lined with parchment paper; avoiding overlapping. Bake for 10 minutes, then flip and bake for other 7-8 minutes (watch closely for the last 5 minutes as they burn quite fast).